Neev ALOE VERA & LAVENDER Body Wash 30 mlDescriptionNeev Aloe Vera Body Wash i..
Neev OLIVE ROSE Body Wash 30 mlDescriptionNeev Olive Rose Body Wash keeps your ski..
Khadi Herbal Aromatic Bubble Bath with Lavender & Jasmine is originally made from herbal base. I..
Khadi Pure Gramodyog™ Herbal Aloevera Body Wash transforms into a Liquid and Creamy foam. Its mild c..
Khadi Pure Gramodyog™ Herbal Woody Sandal & Honey Body wash smells absolutely sensuous and feels..
Khadi Pure Gramodyog™ Herbal Orange and Lemongrass Body Wash Removes impurities & dirt from the ..
Khadi Pure Herbal Rose & Honey Body Wash - 210ml. 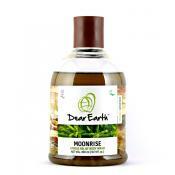 Khadi Pure Gramodyog™ Herbal Rose & Honey Body Wash indulge your senses with beautiful soap-free..
Khadi Pure Gramodyog™ Herbal Jasmine & Mogra body wash has a refreshing scent of this tiny white..
Khadi Pure Gramodyog™ Herbal Aromatic Bubble Bath is originally made from herbal base. It is useful ..
Khadi Pure Gramodyog™ Herbal Sandal & Honey Body Wash nourish & protect the skin, without ca..
Khadi Pure Gramodyog™ Herbal Rose Body Wash has the richness of Rose extracts. This body wash has al..
Khadi Pure Gramodyog™ Herbal Lavender & Ylang Ylang Body Wash with the refreshing fragnance of l.. Ancient Living Turmeric Lemon Body Wash-50mlAncient Living Turmeric Lemon Body wash is a pure an.. 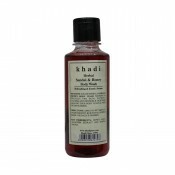 Ancient Living Basil & Mint Body Wash - 50mlAncient Living Basil and Mint Body wash is a gen..
Khadi Herbal Rose Body Wash has the richness of Rose extracts. This body wash has all organic and na..
Khadi Herbal Orange and Lemongrass Body Wash Removes impurities & dirt from the skin. It provide..
Khadi Herbal Woody Sandal & Honey Body wash smells absolutely sensuous and feels fabulous ..
Khadi Herbal Jasmine & Mogra body wash has a refreshing scent of this tiny white jasmine flower ..
Khadi Herbal Aloevera Body Wash transforms into a Liquid and Creamy foam. 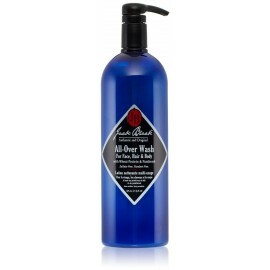 Its mild cleansing base, e..
Hand & Body Wash - D Germ 250ml D Germ Hand and Body Wash finds usage a..
Rose & Honey Body Wash indulge your senses with beautiful soap-free cleansing gel that will leav..